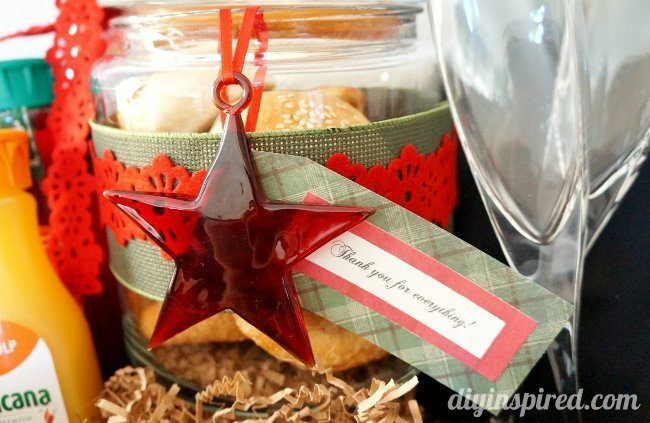 This post, The Ultimate Holiday Hostess Gift Idea, is sponsored by Rich Product’s Give Bakery Because. It’s Gifting Made Delicious. campaign. All opinions are 100% my own. Each holiday season, we all spend a considerable amount of time going to holiday parties. But figuring out what to bring for the party hostess can be a daunting task that ultimately ends with the purchase of the traditional bottle of wine or box of chocolates. This year, be the hostess gift hero! 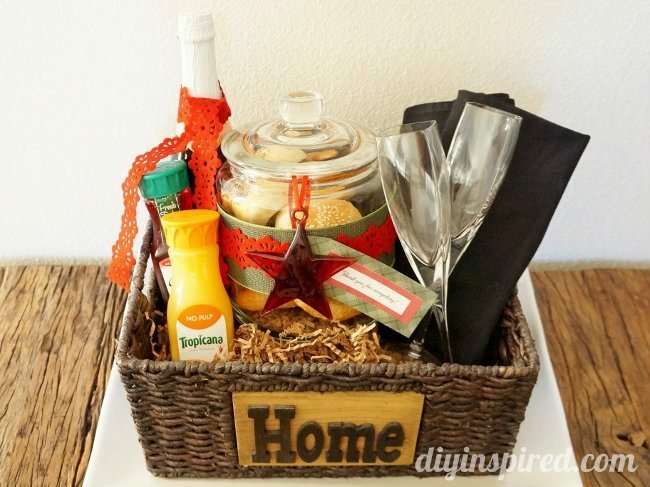 Create a unique breakfast basket full of baked goods and other goodies that the hostess can enjoy the next morning. Better yet, visit the bakery department of your local grocery store to find a variety of treats that can be gifted. With simple creative packaging, a baked good can become a personalized (and delicious) gift that will make hostess’s day a little brighter. It’s simple, easy and affordable—no baking required! 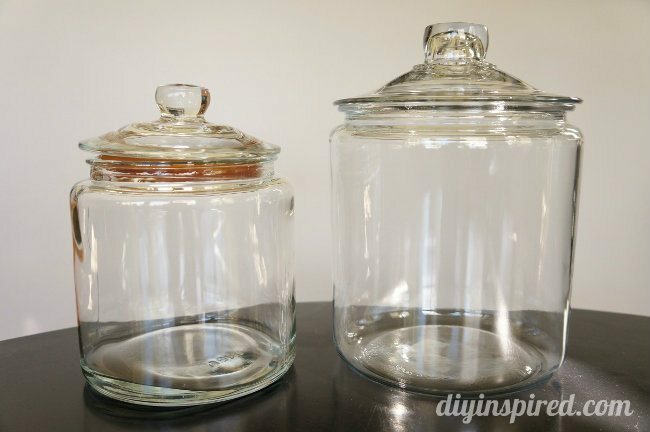 I found these cookie jars at the thrift store for next to nothing. After I washed and cleaned them, I decorated it with green burlap ribbon and red felt ribbon. 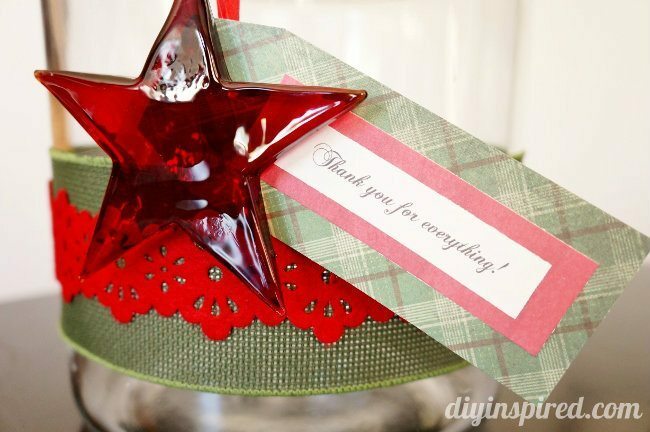 I made a tag that says “thank you for everything”, and tied it on along with a pretty glass Christmas ornament. Next, I went to the bakery of my local grocery store and bought some fresh baked goodies. 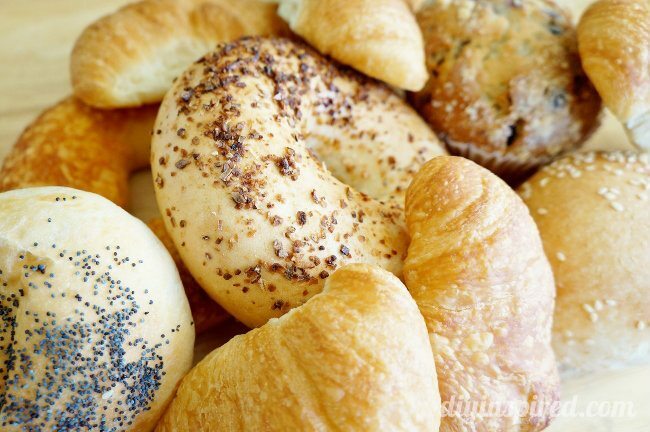 I bought a variety of bagels, croissants, and rolls. 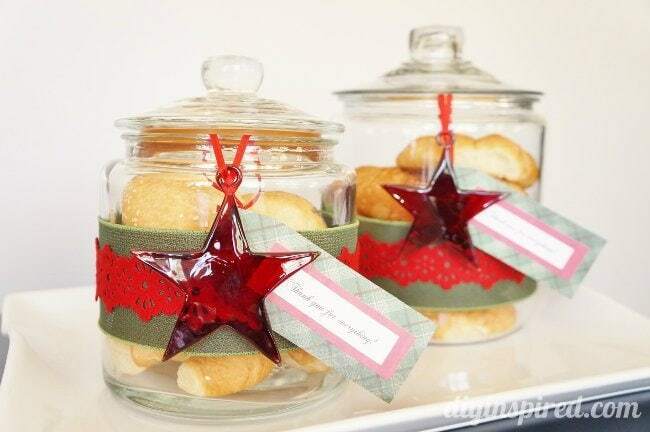 I filled each cookie jars, which kept them fresh. 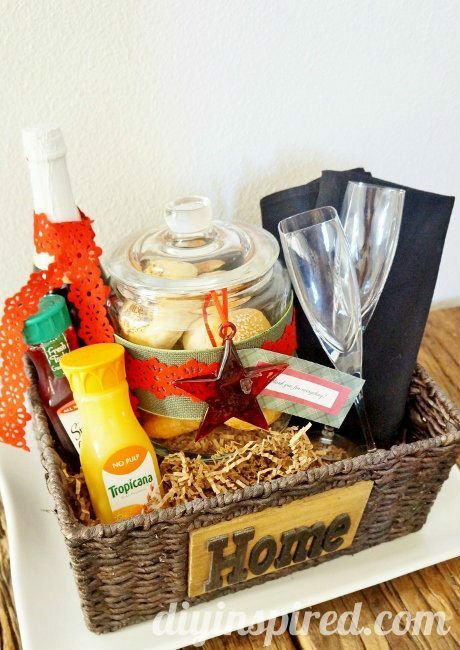 Now for the ULTIMATE hostess gift…you can include your goody-filled cookie jar in a basket with champagne and orange juice for mimosas, and even some champagne glasses (plastic will do!). Now, after weeks of party planning, and a successful party night, your Host or Hostess can enjoy breakfast the next morning thanks to you! Thank you to Rich Product’s for sponsoring this post! Be sure to visit the Bakery Because Pinterest page for more inspiring ideas!